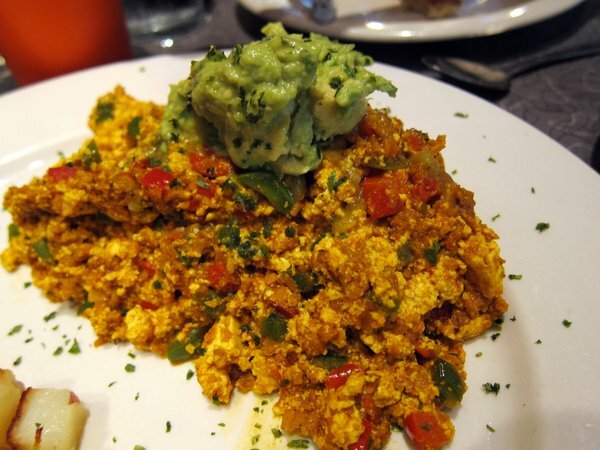 That tofu scramble looks delicious. 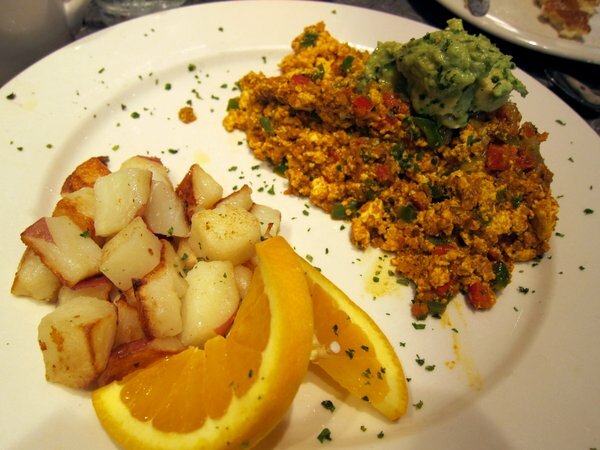 Speaking of vegan Chicago breakfast, have you been to the Chicago Diner? I went for the first time yesterday. Loved it! 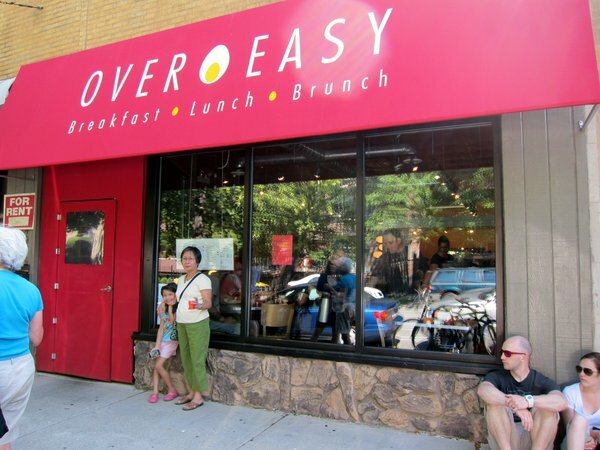 Too bad it’s such a trek for me to get to the city… one metra ride and one el ride later (nearly 2 hours), we were ready to enjoy our brunch. It was worth it though. Your breakfast looks awesome. I just commented on my most recent blog post about how it can be a pain to find good vegan food when eating out. so it’s awesome that you have such a great place. Thankfully we have a great vegan restaurant near us, but I know what it is to have to hunt for food. This place looks great. Maybe Chicago will have to be a travel destination. . .